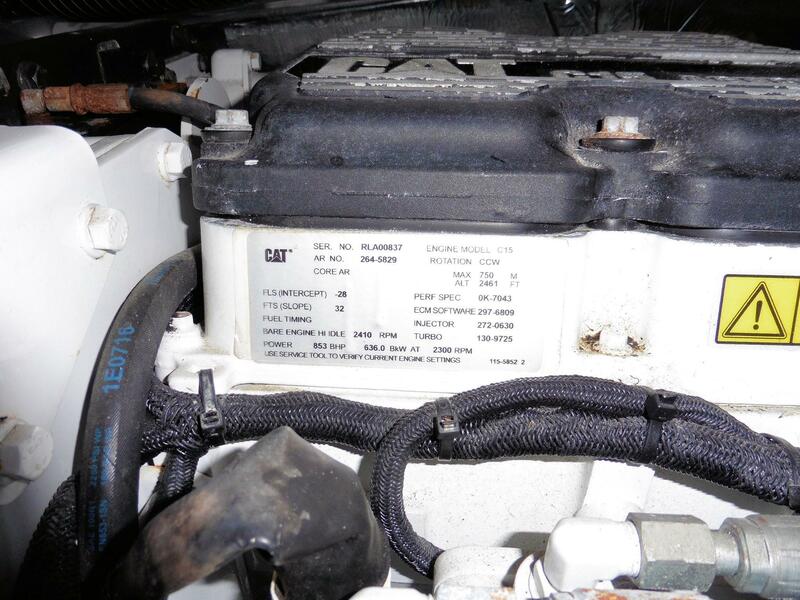 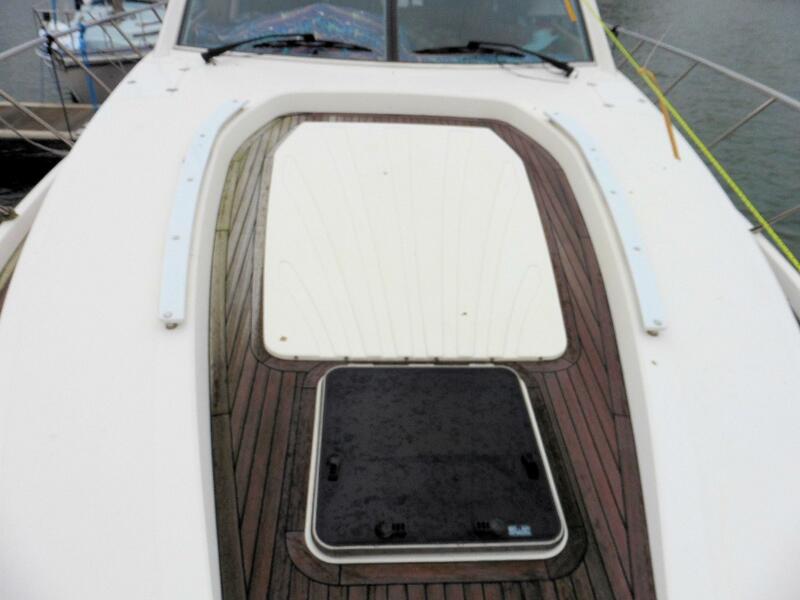 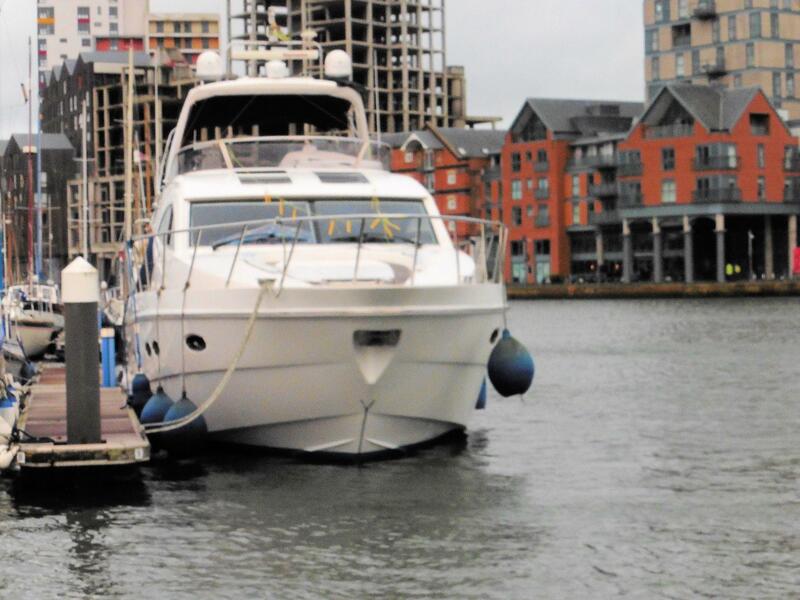 Motor Boat for sale UK. 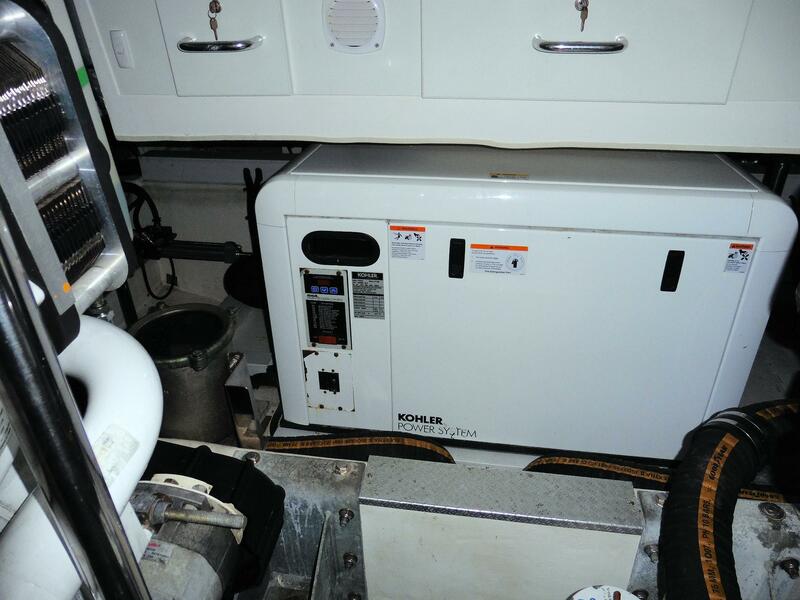 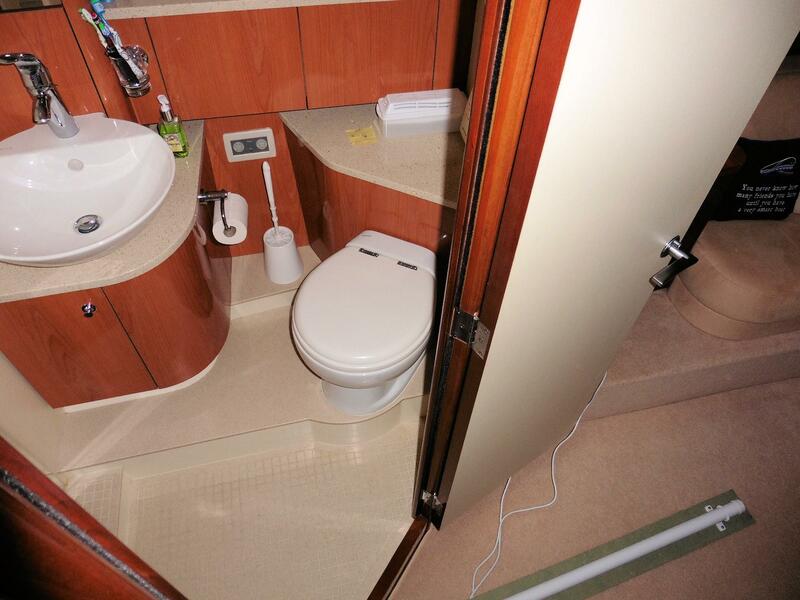 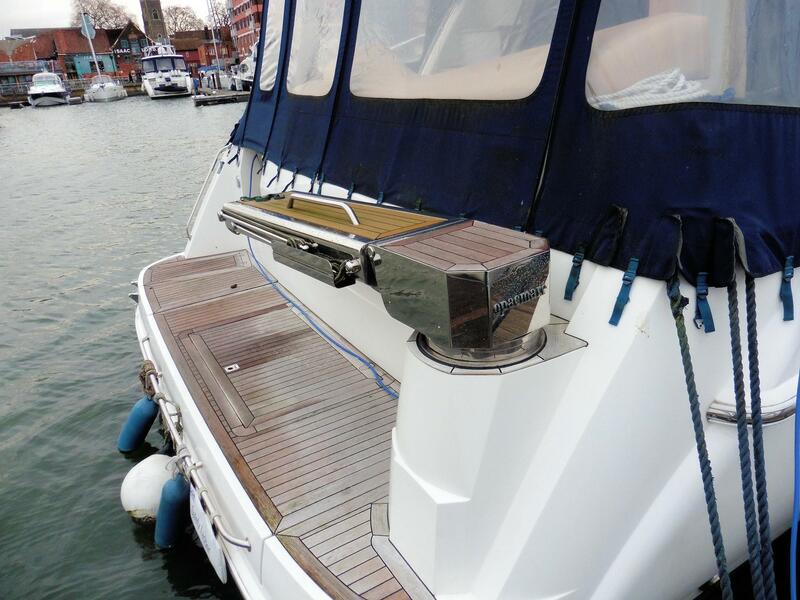 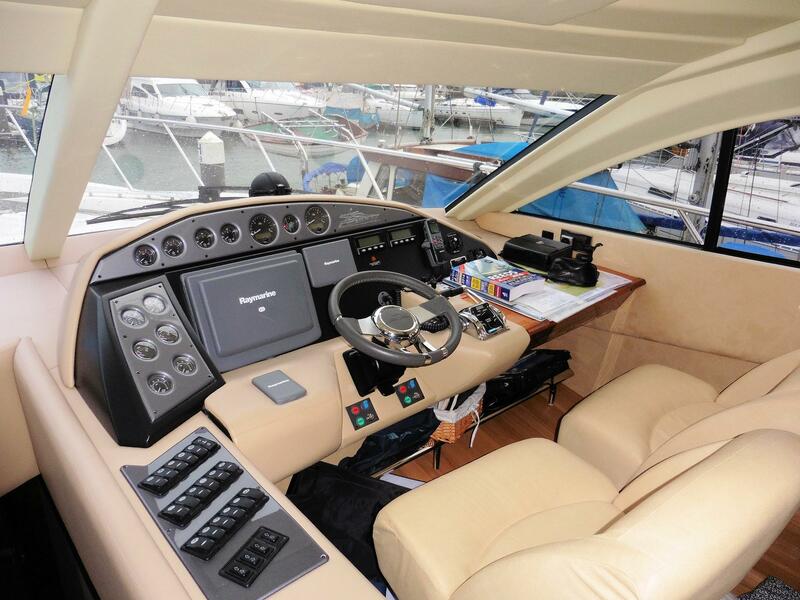 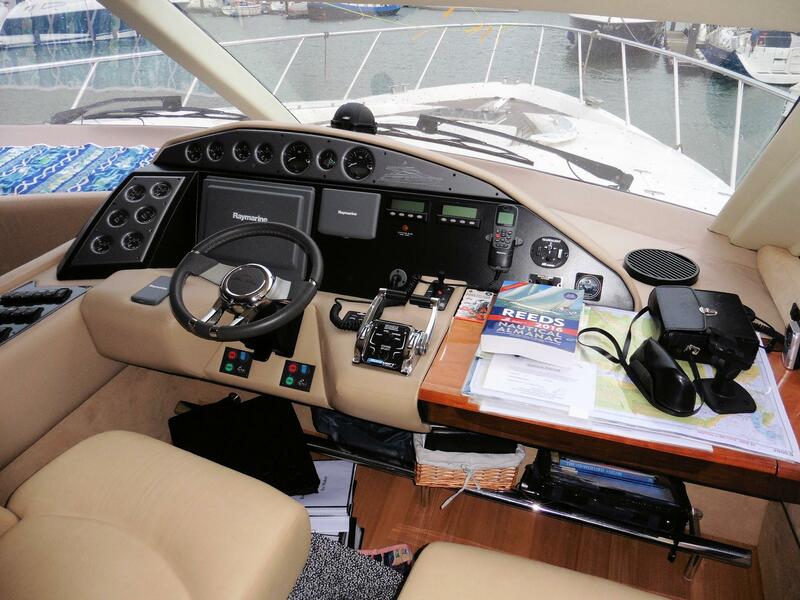 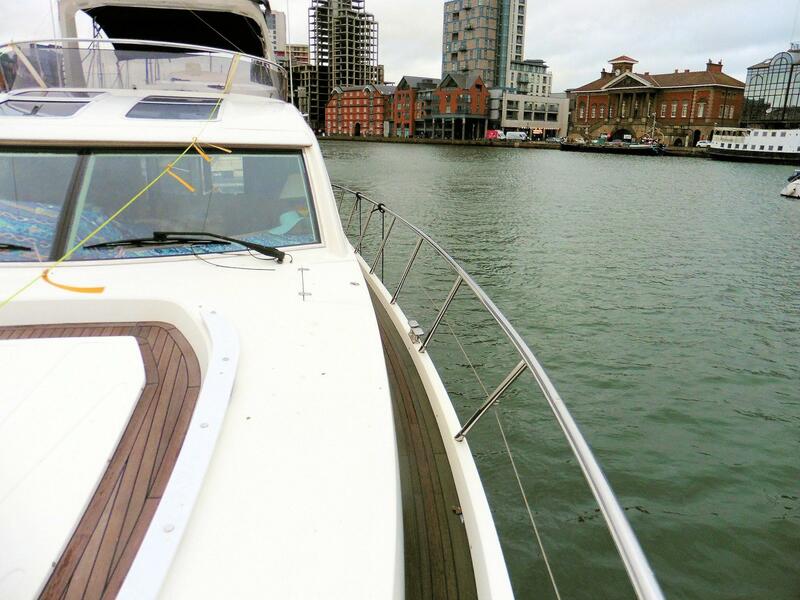 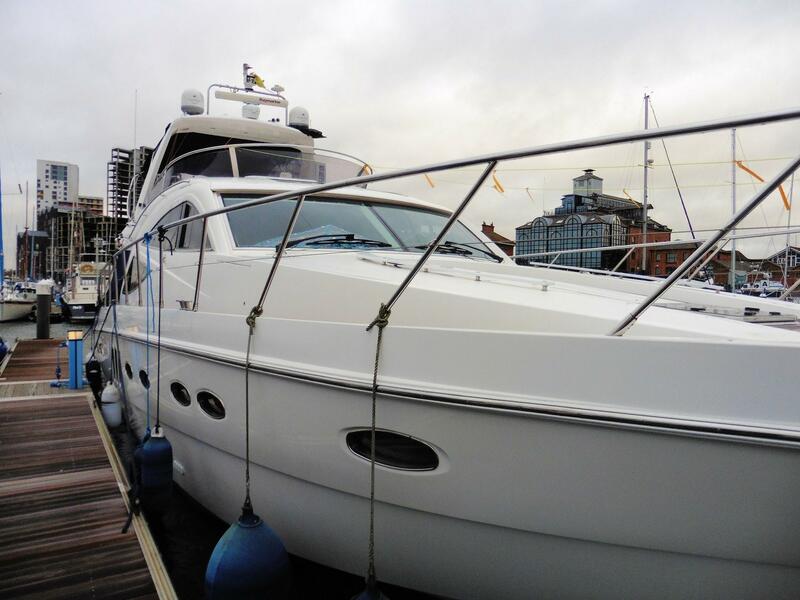 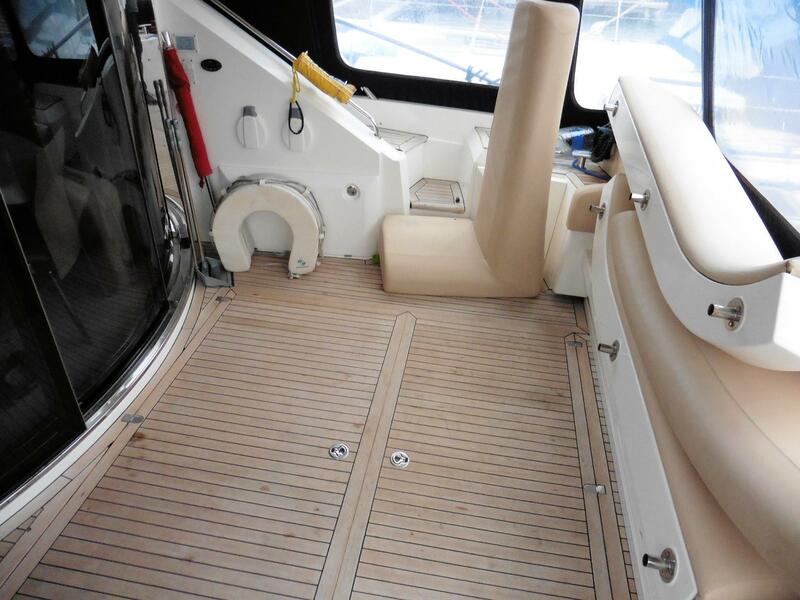 Used Sealine T60 Motor Cruiser for sale, This Sealine T60 Motor Yacht currently in winter lay-up condition boasts of 3 cabins and 3 heads. 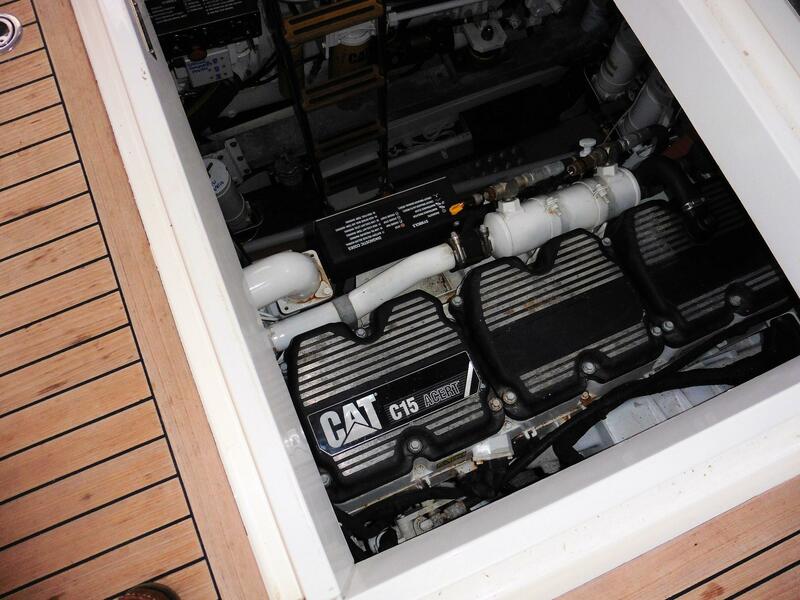 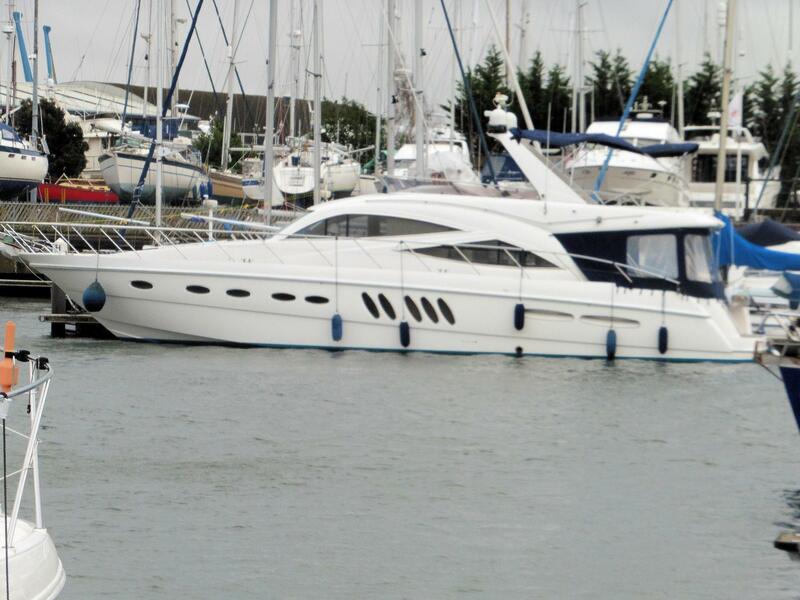 With just 196 hrs on her twin Caterpillar C15865hp x 2 engines she should give a comfortable 31knots. 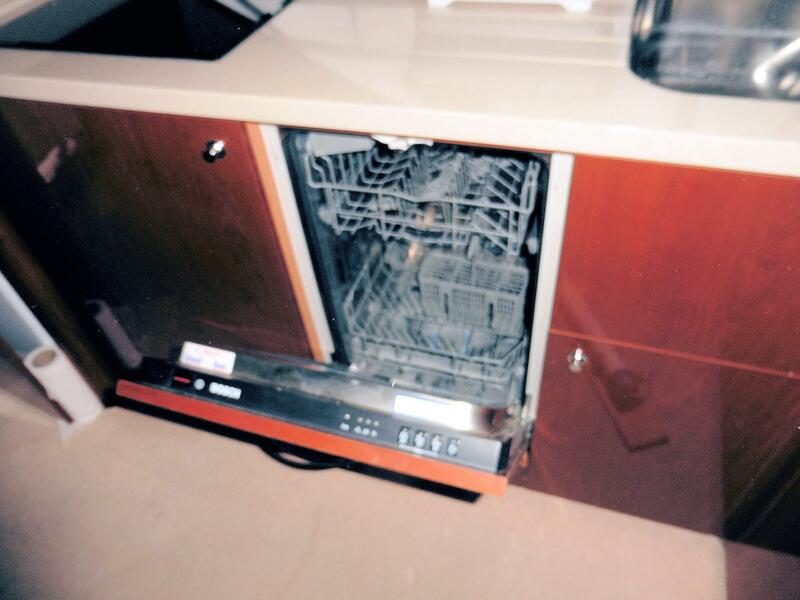 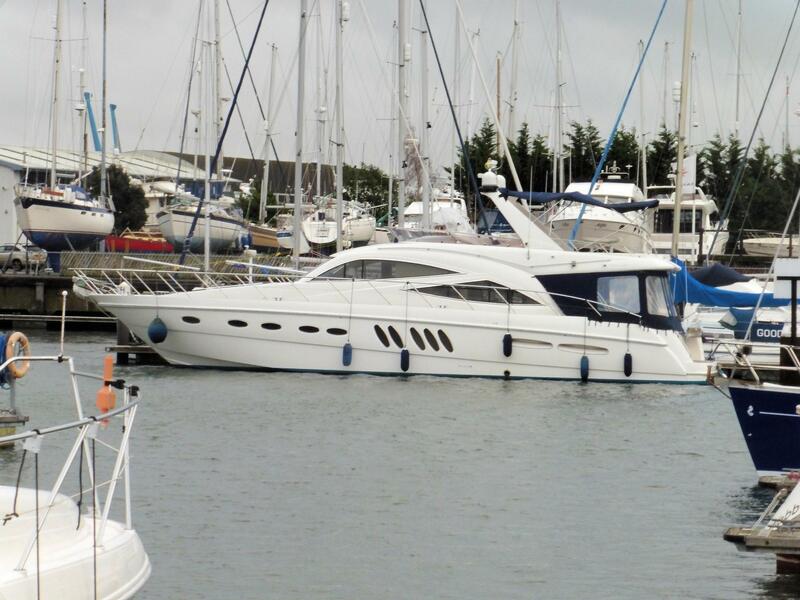 Owner may consider offers near this sensible asking price. 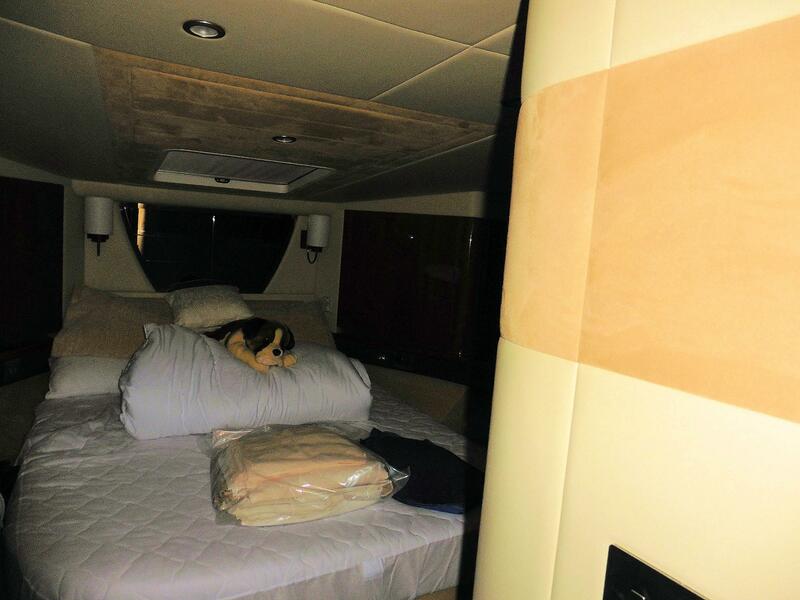 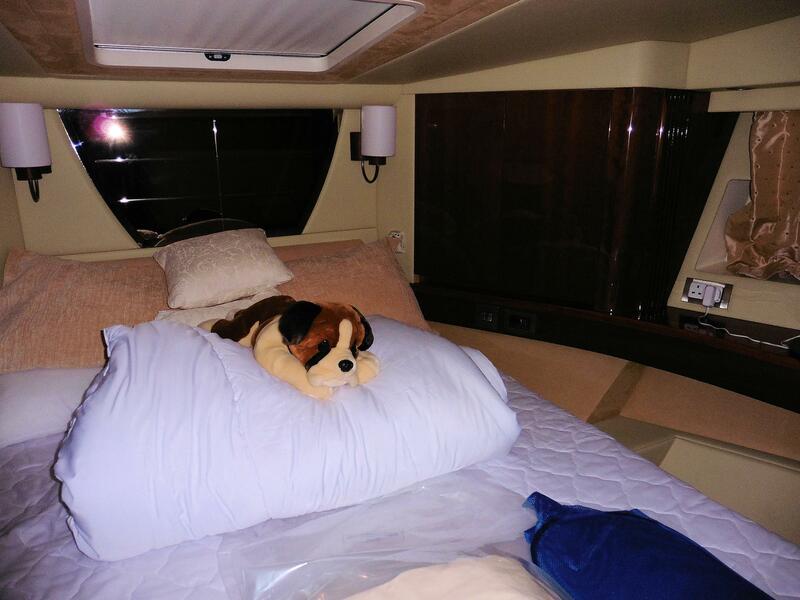 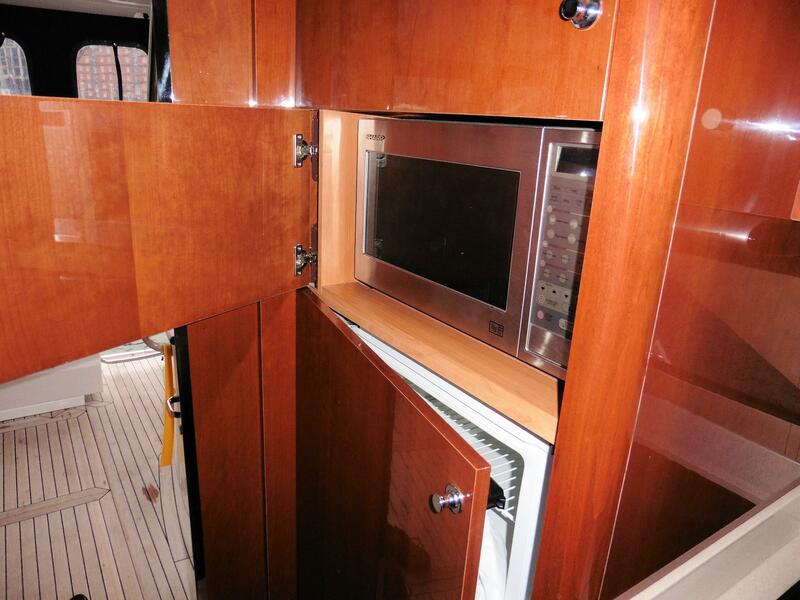 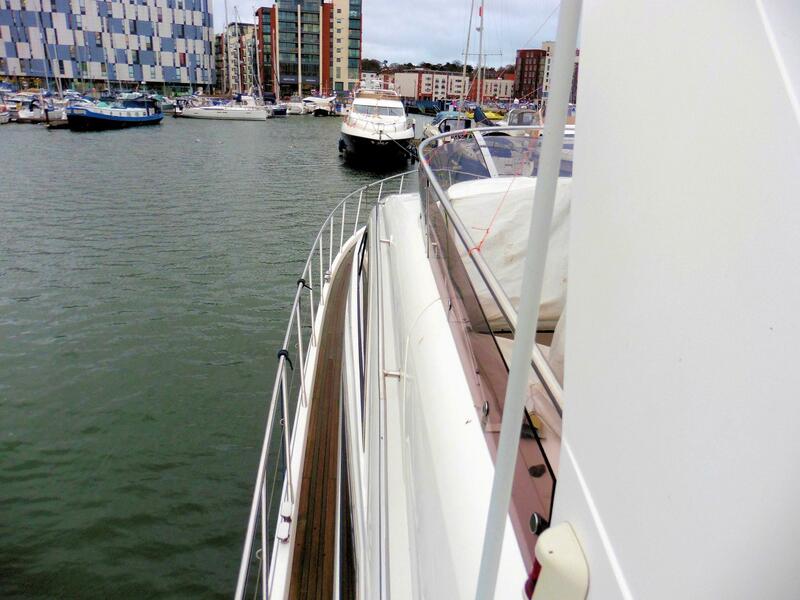 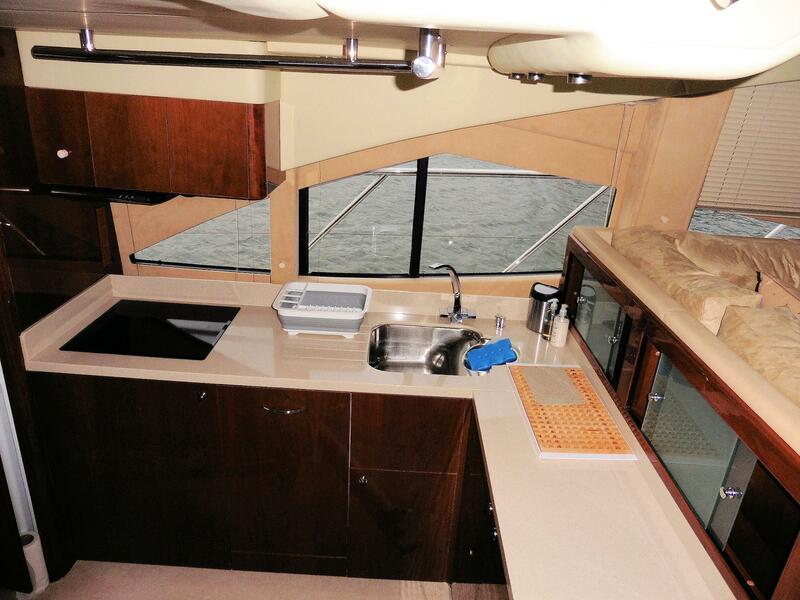 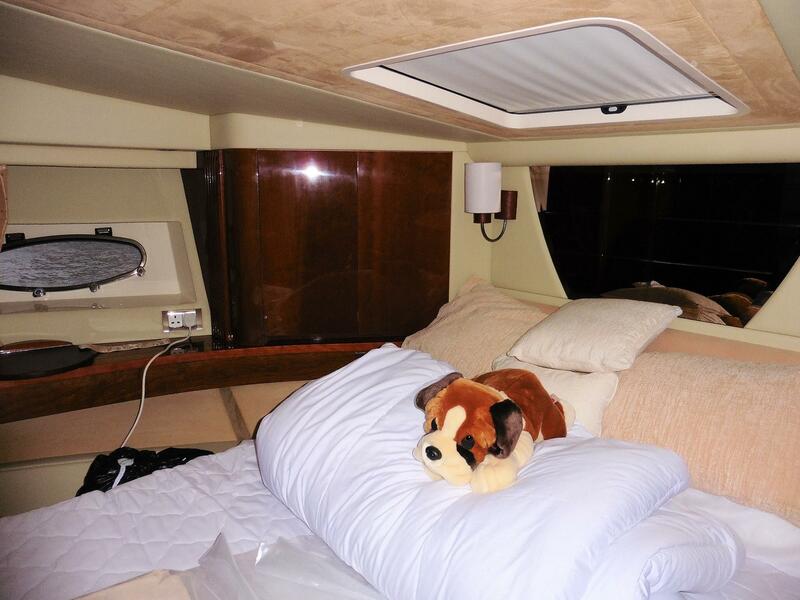 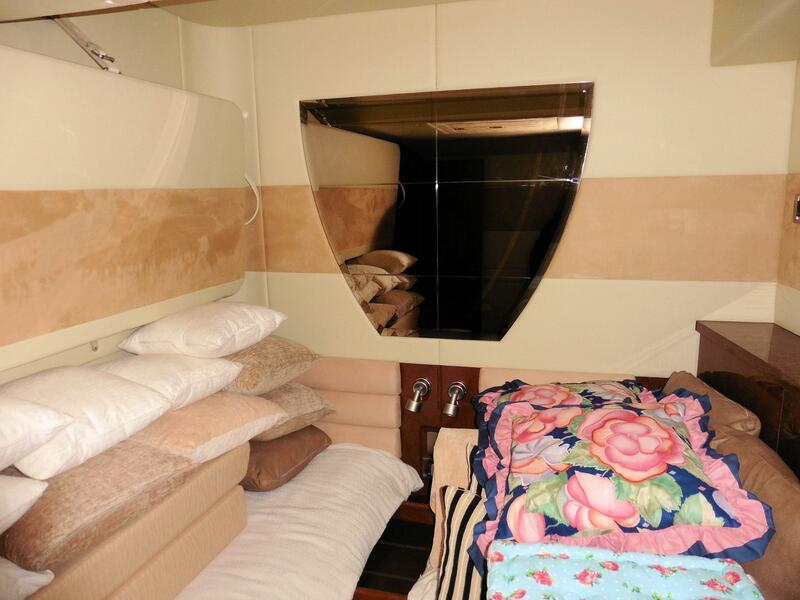 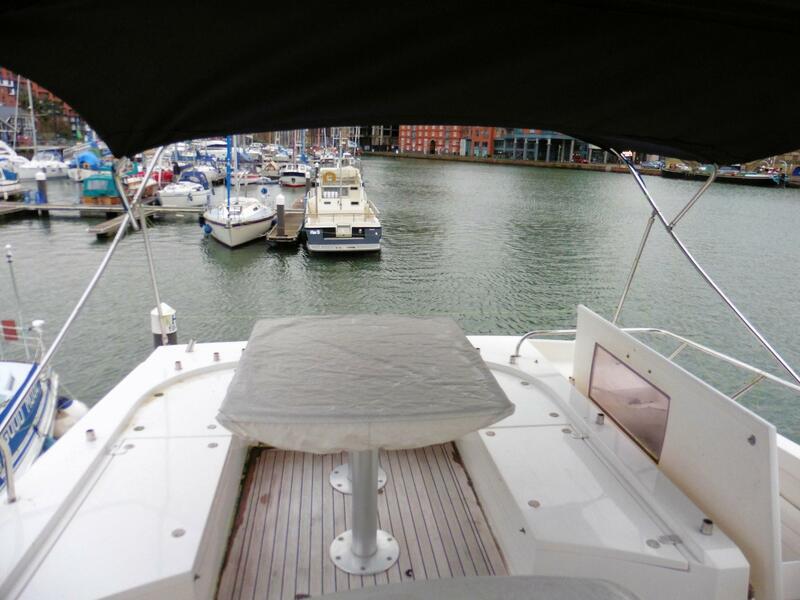 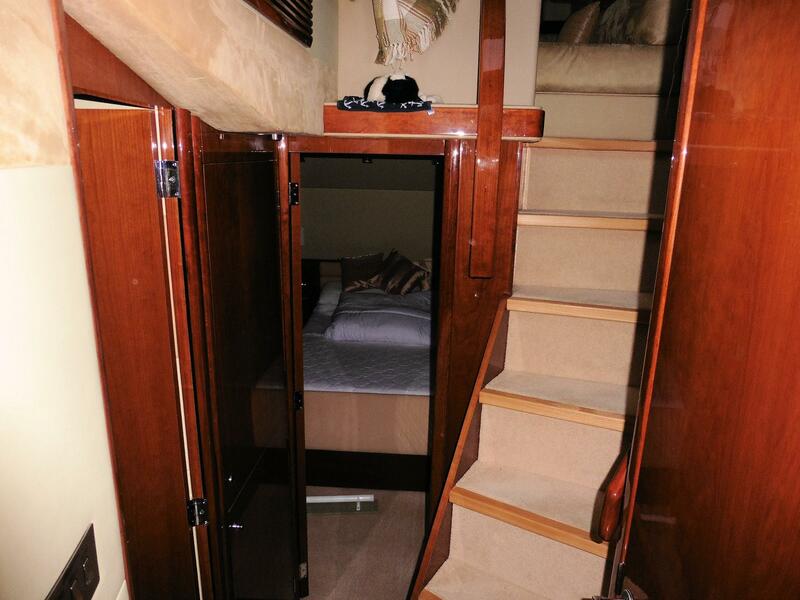 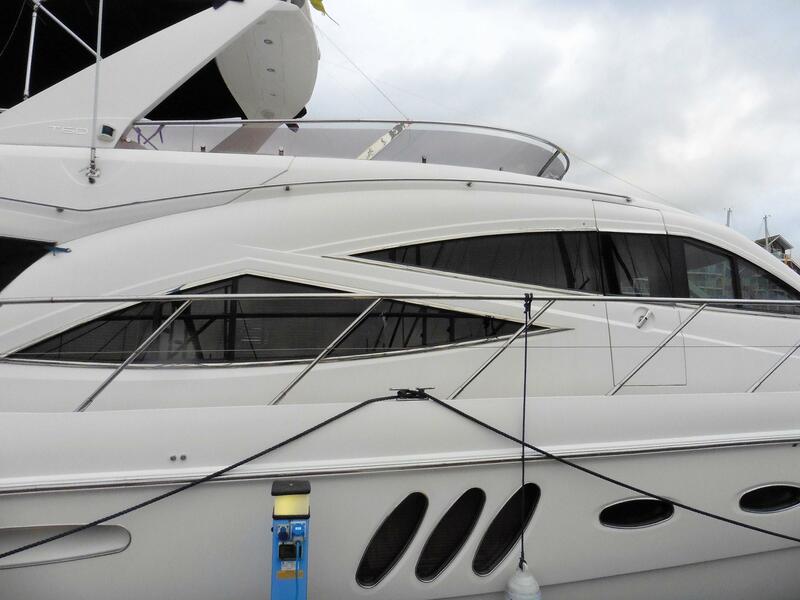 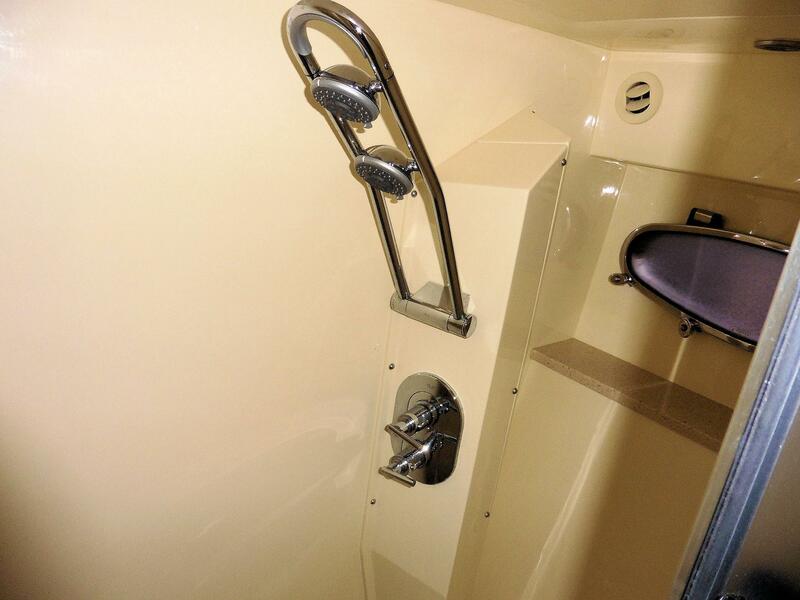 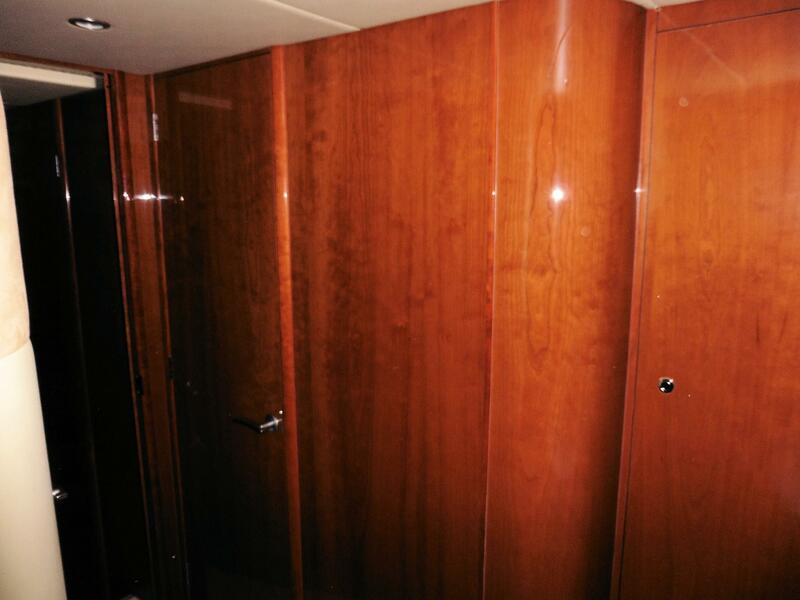 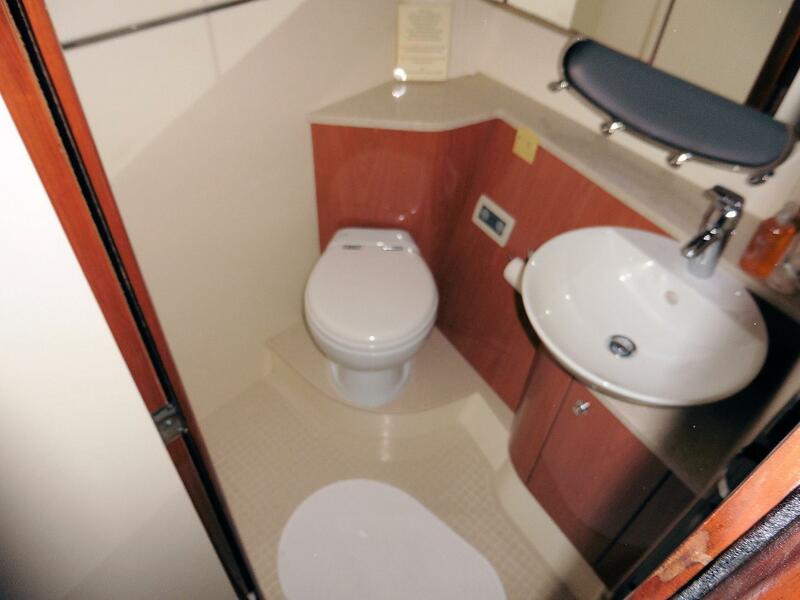 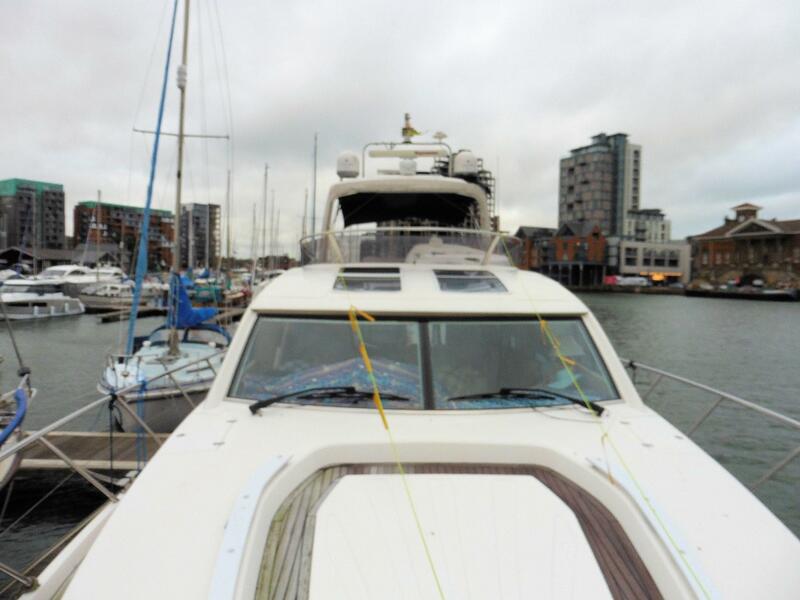 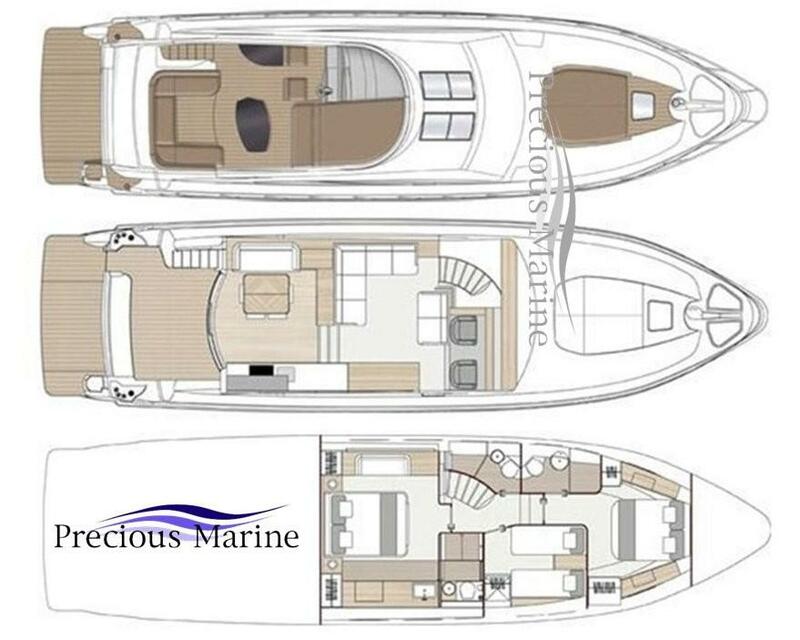 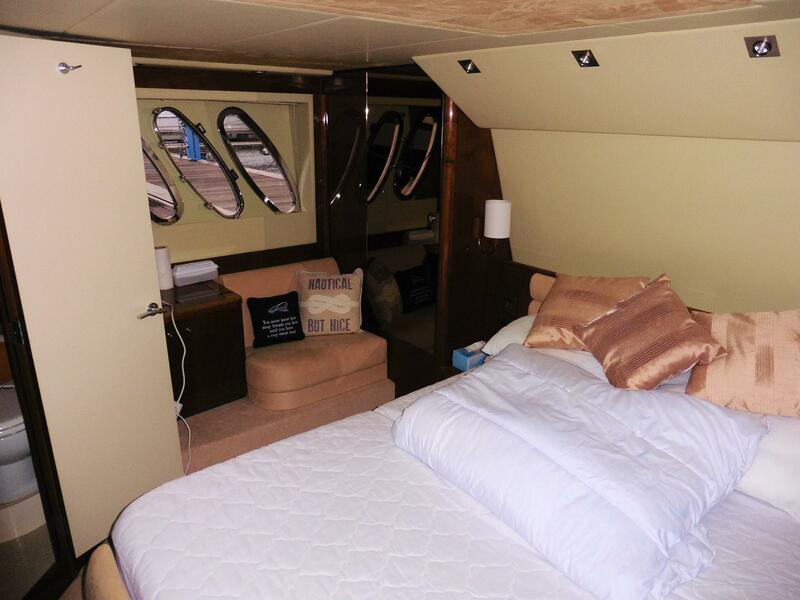 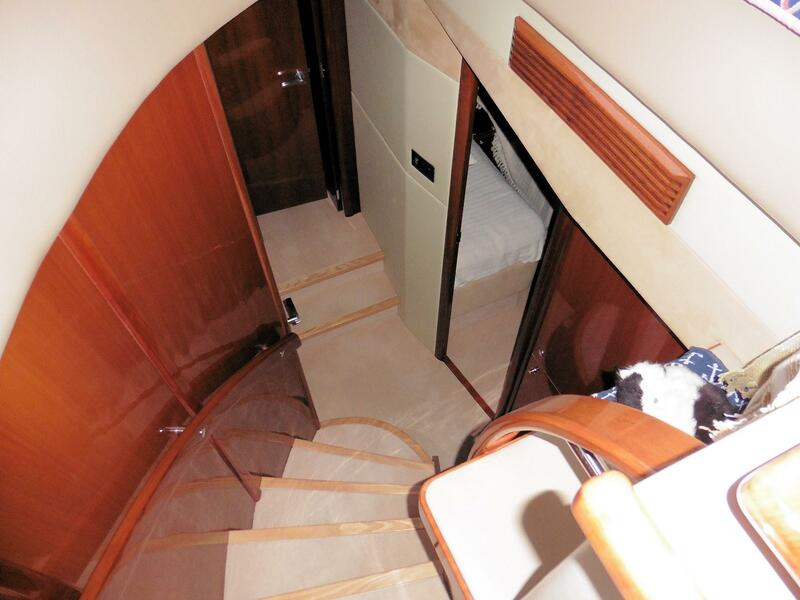 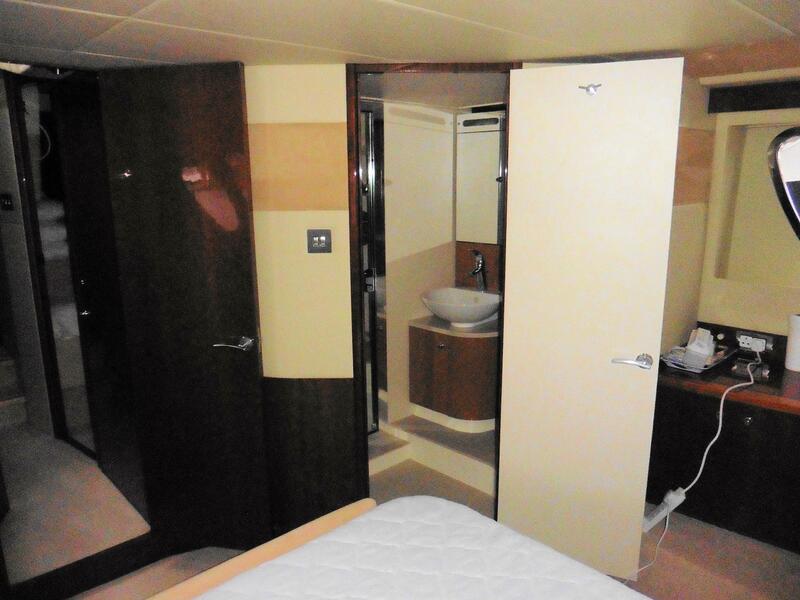 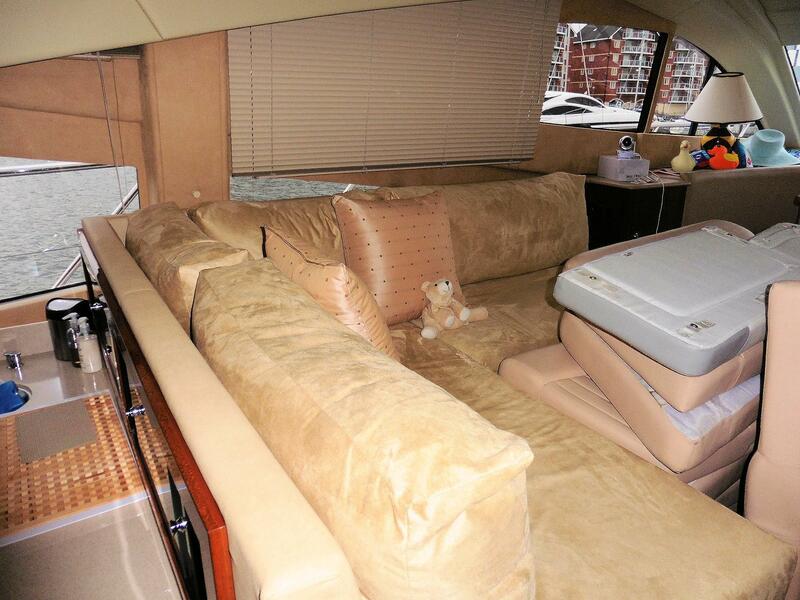 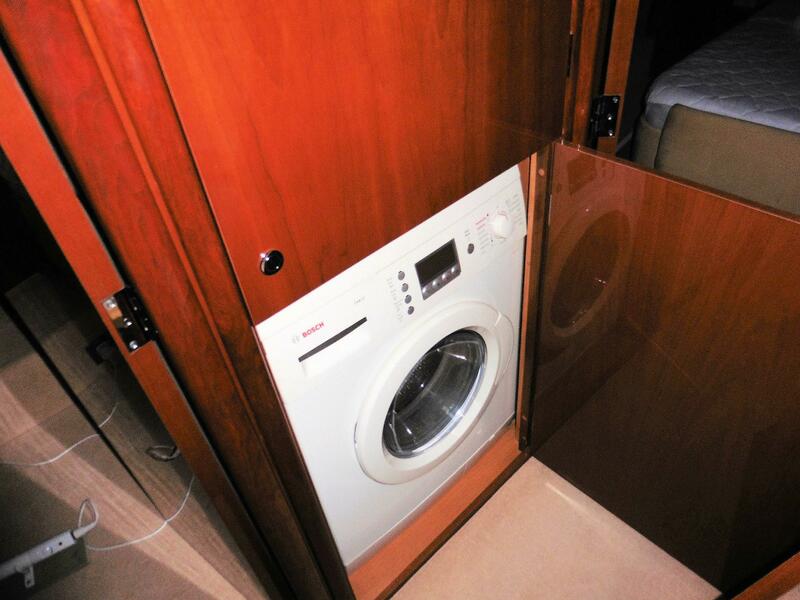 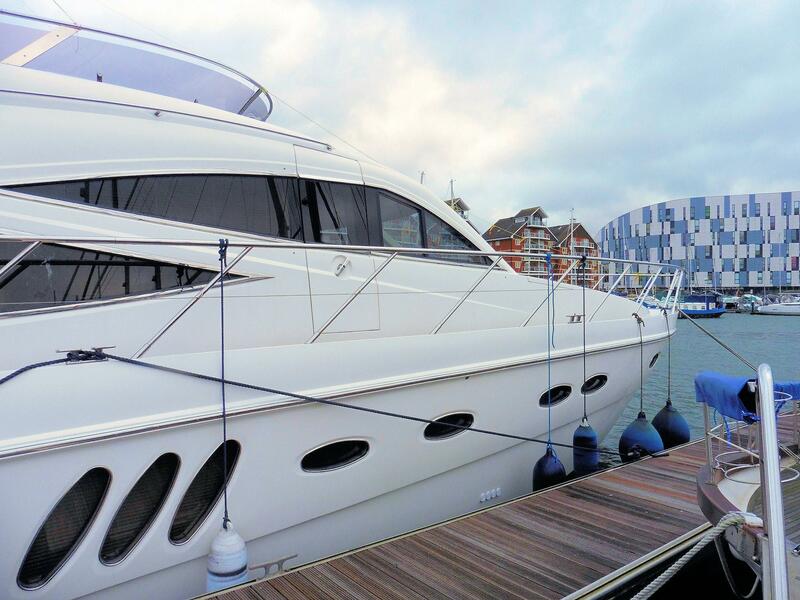 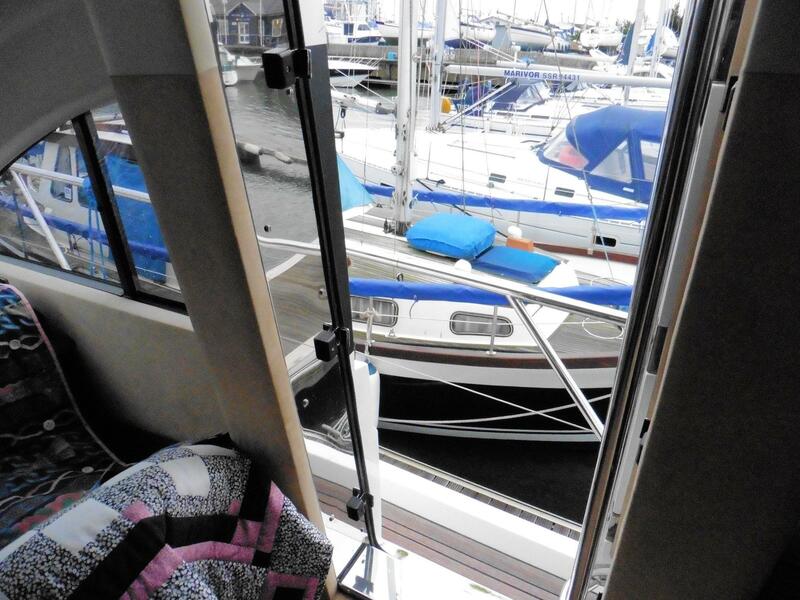 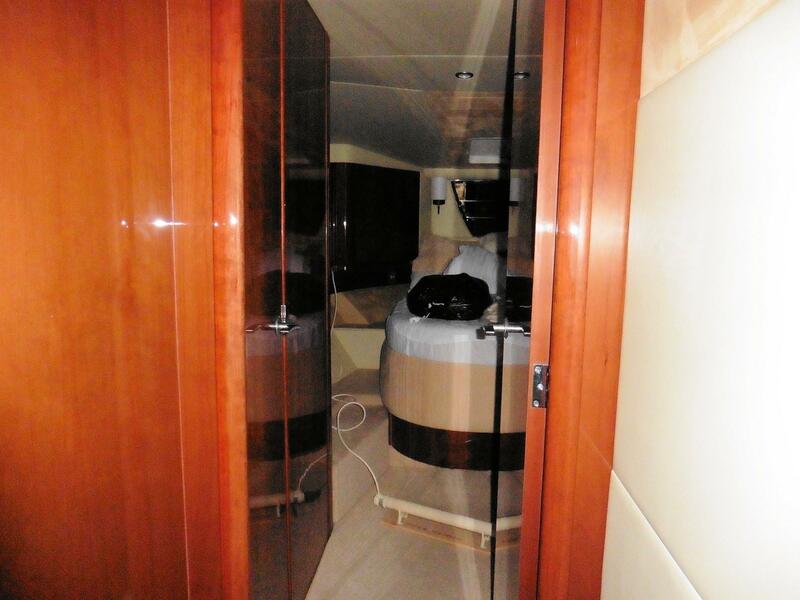 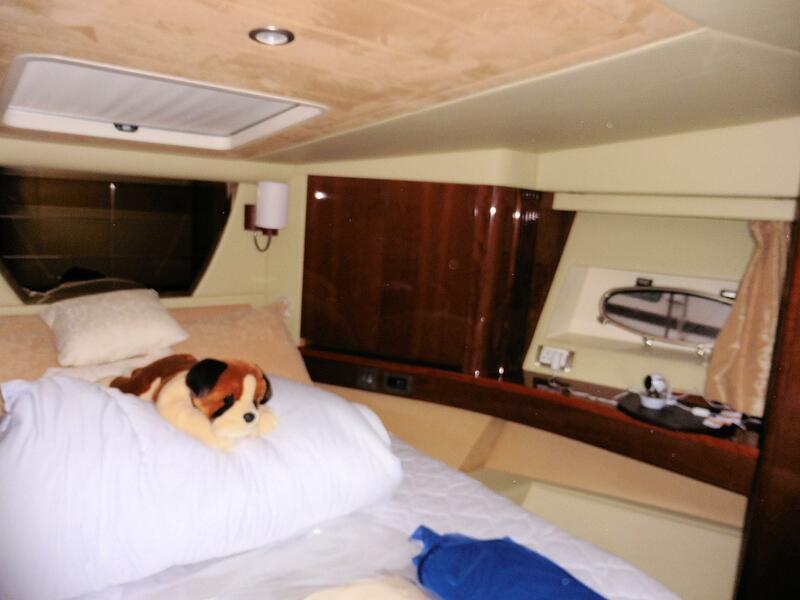 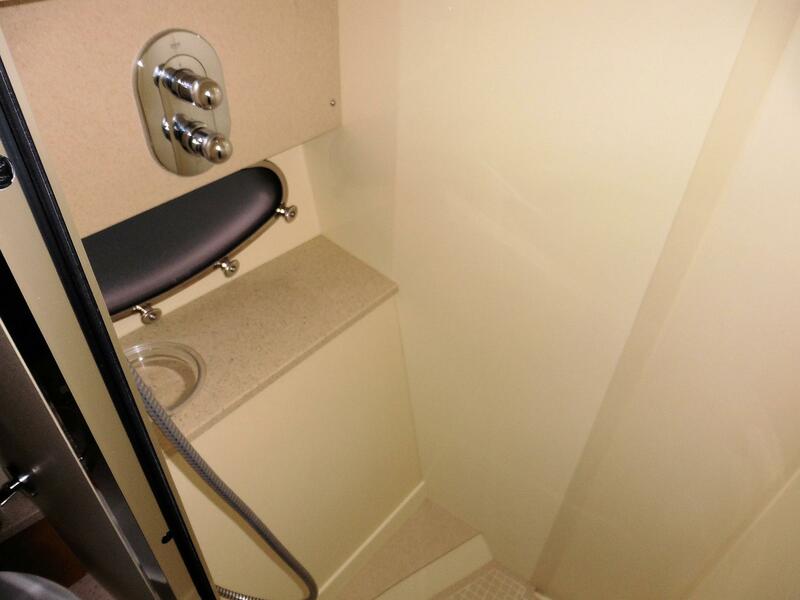 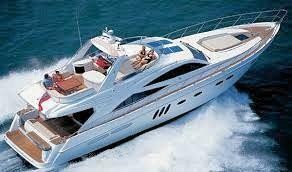 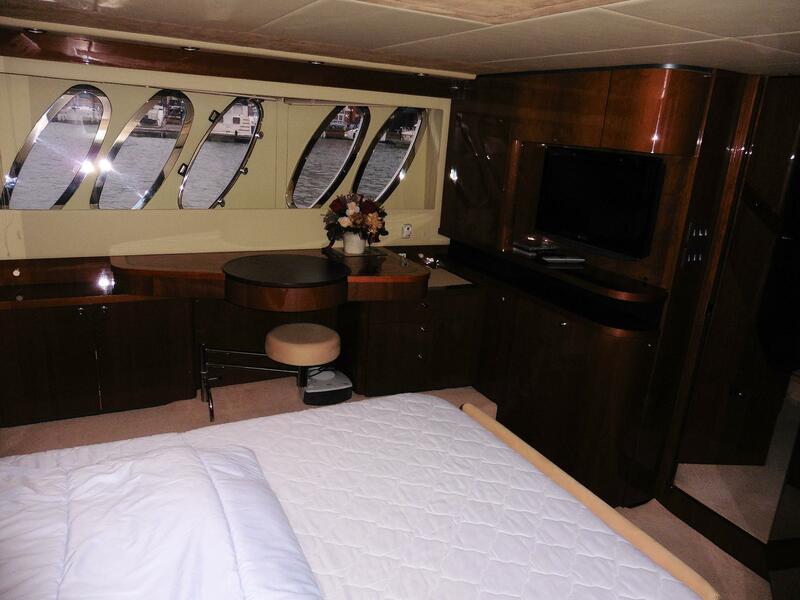 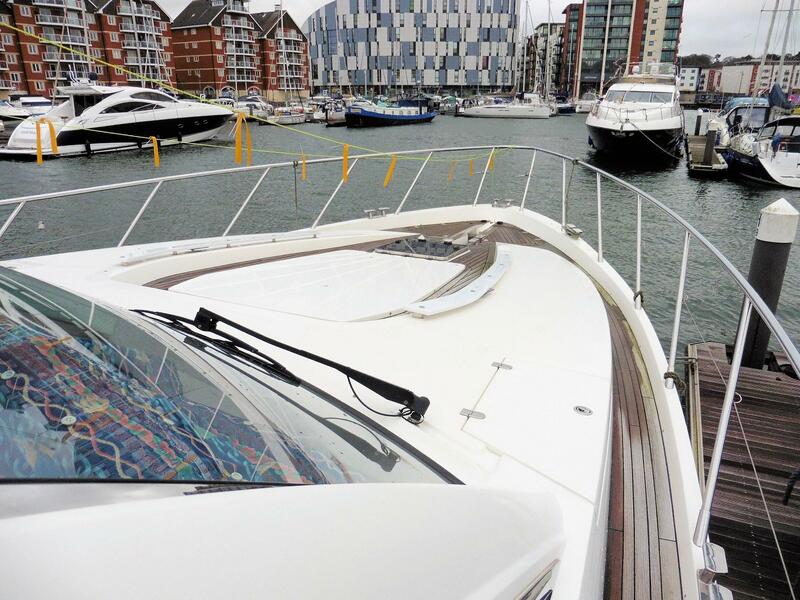 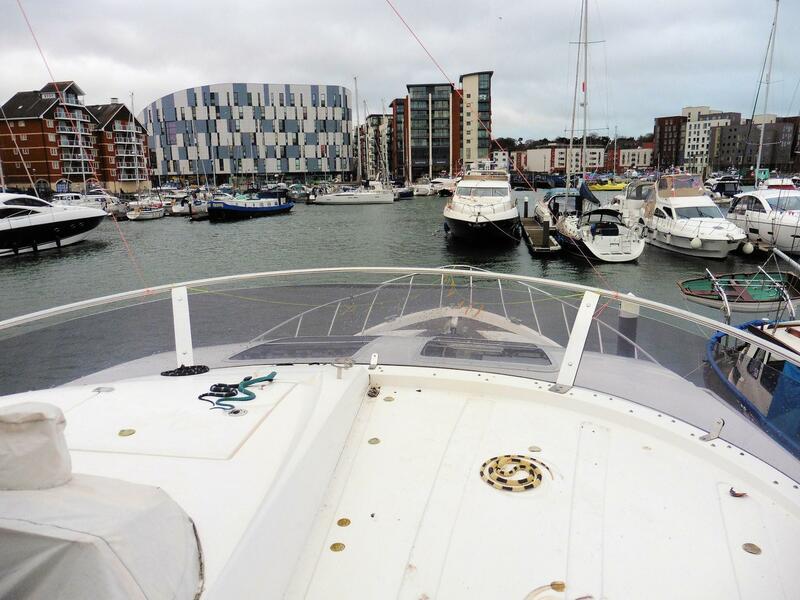 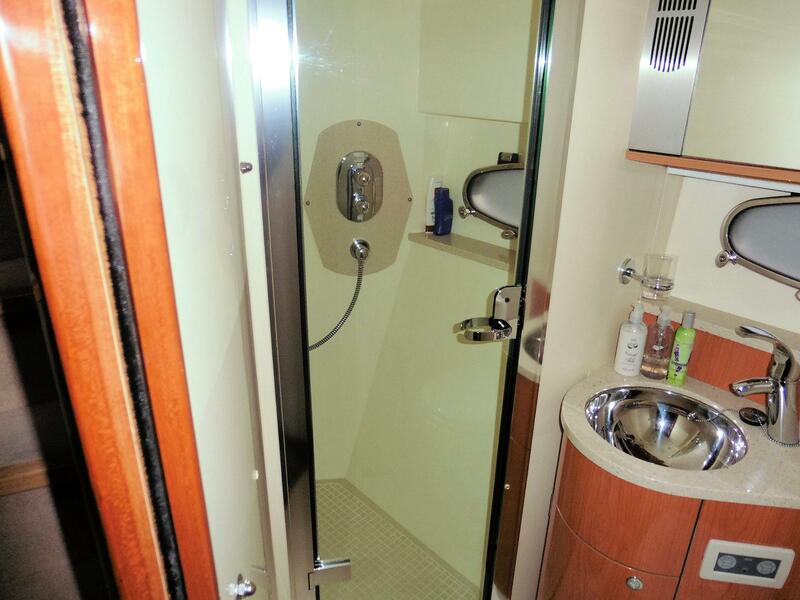 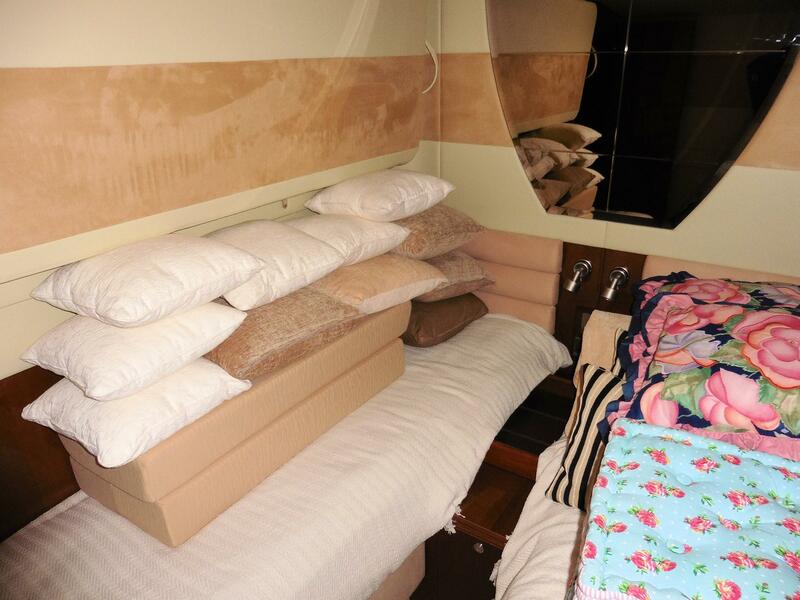 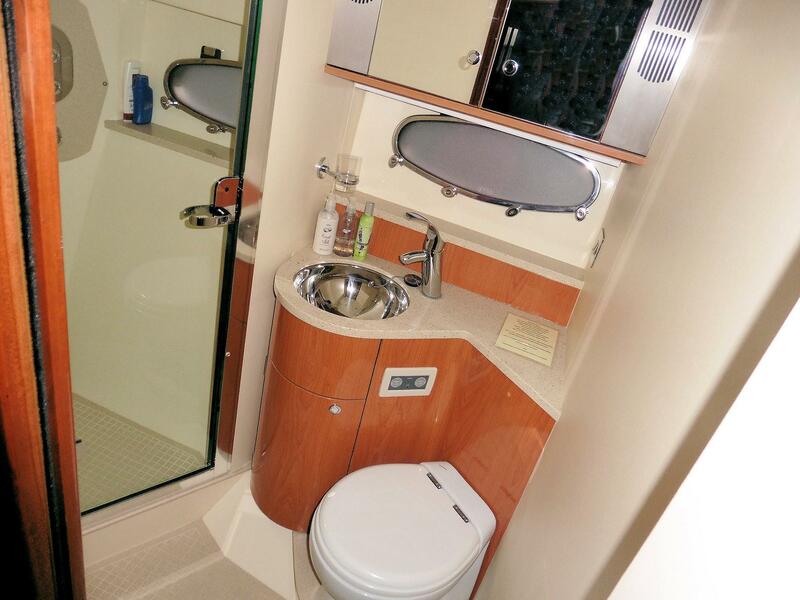 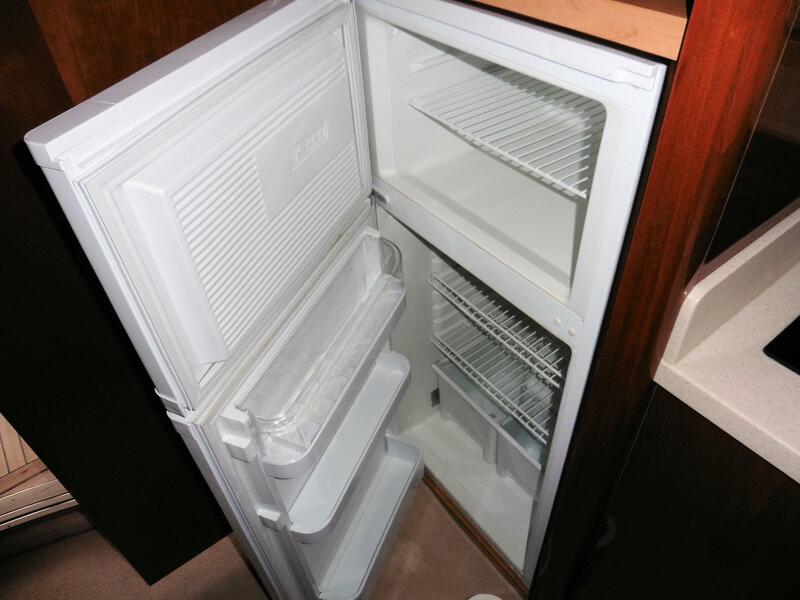 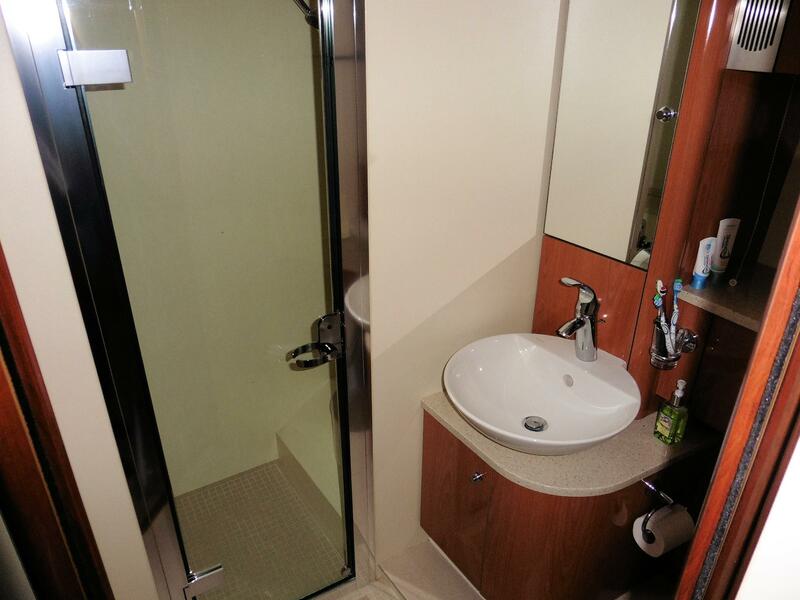 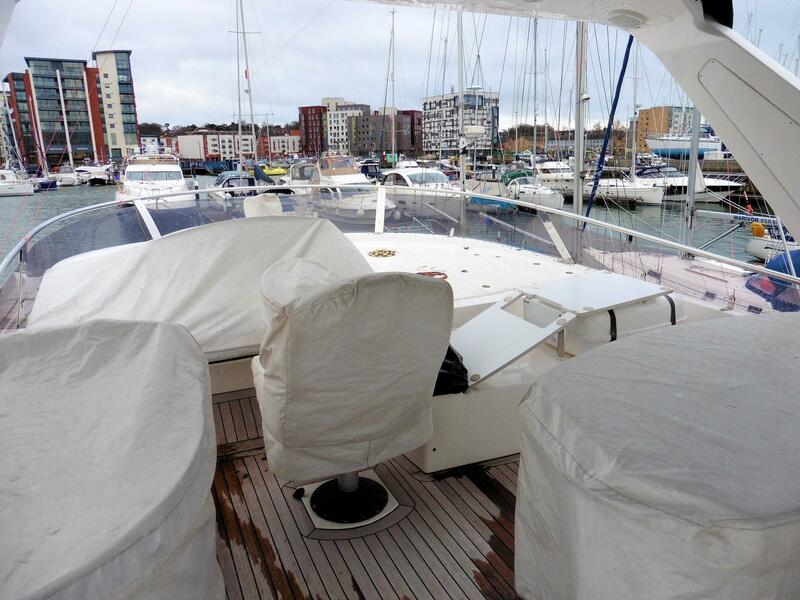 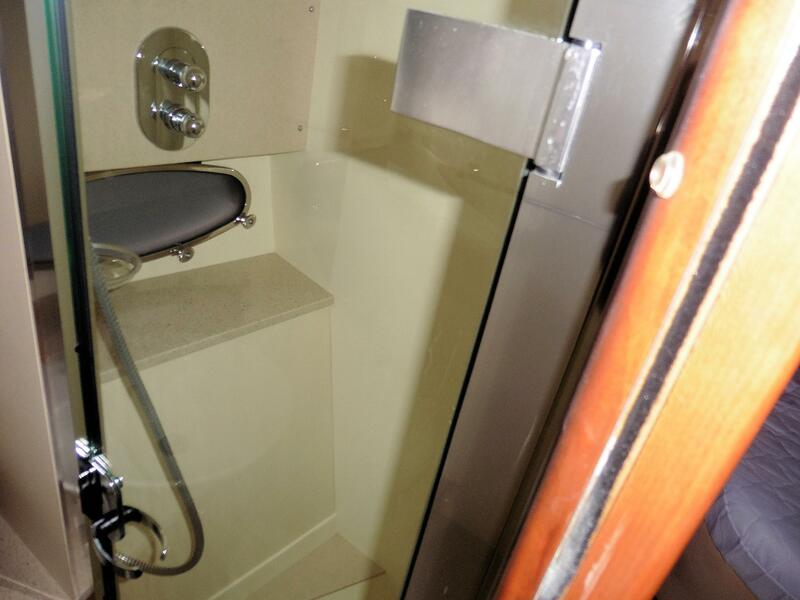 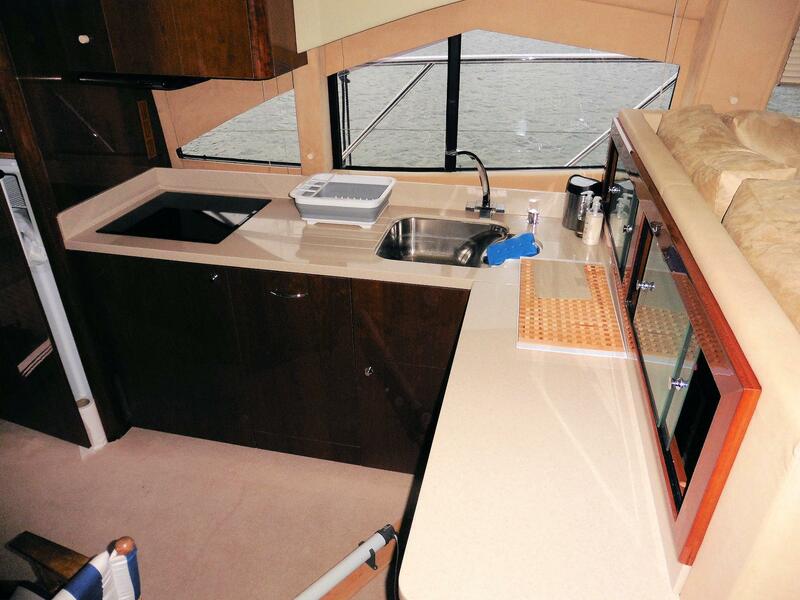 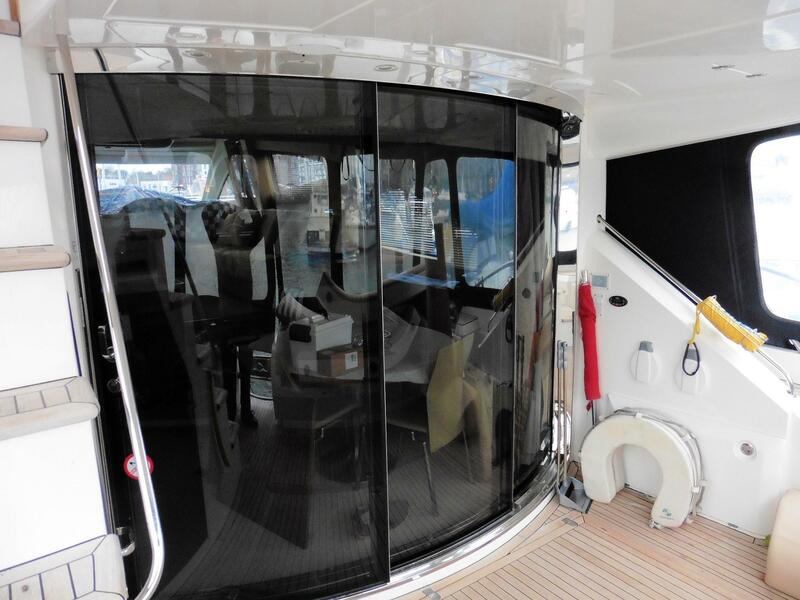 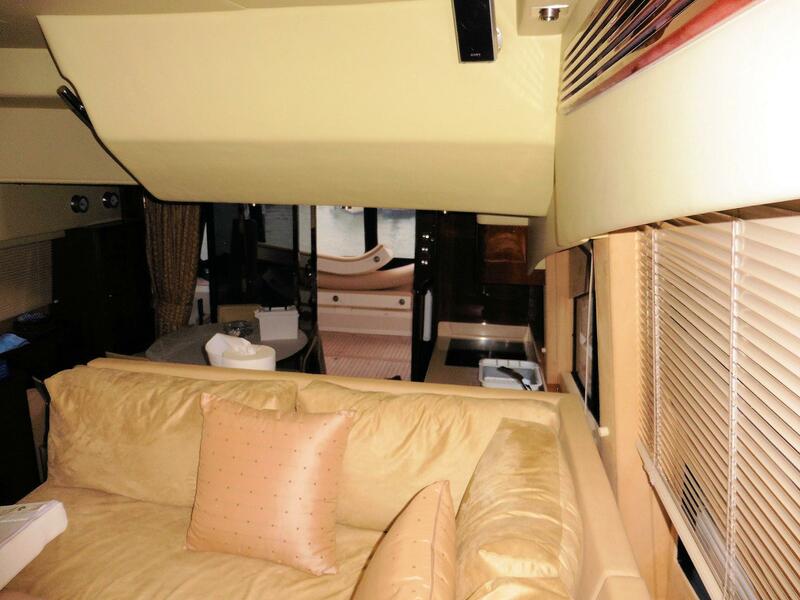 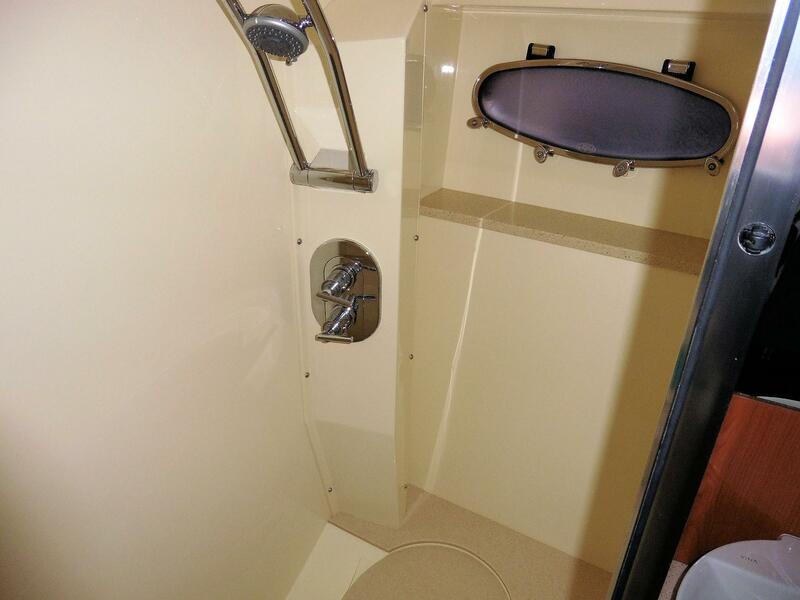 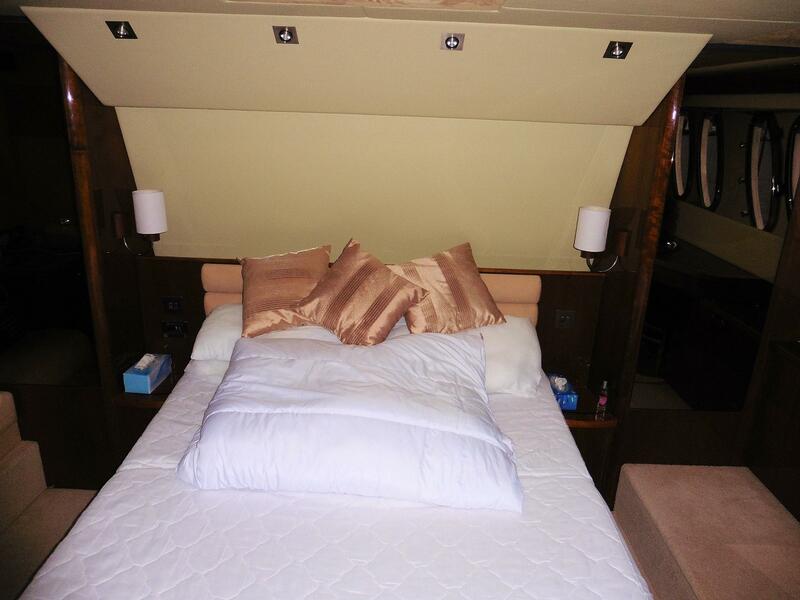 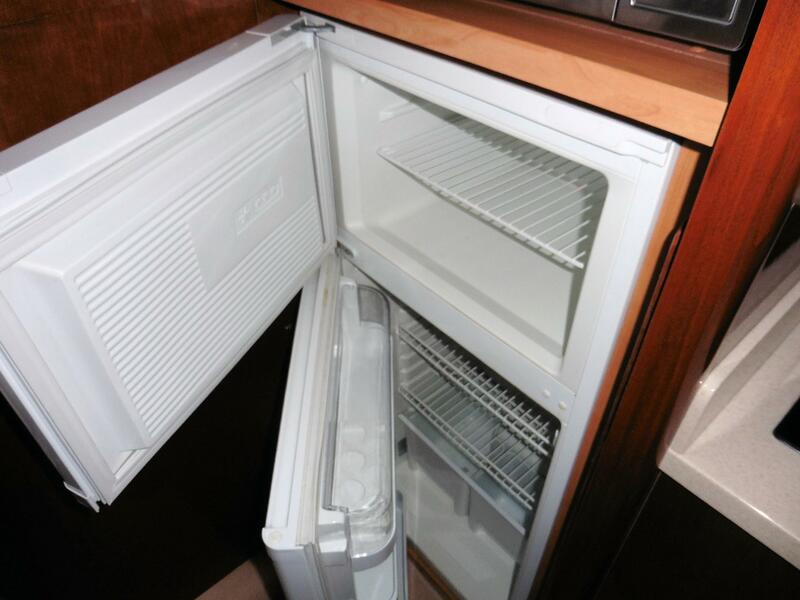 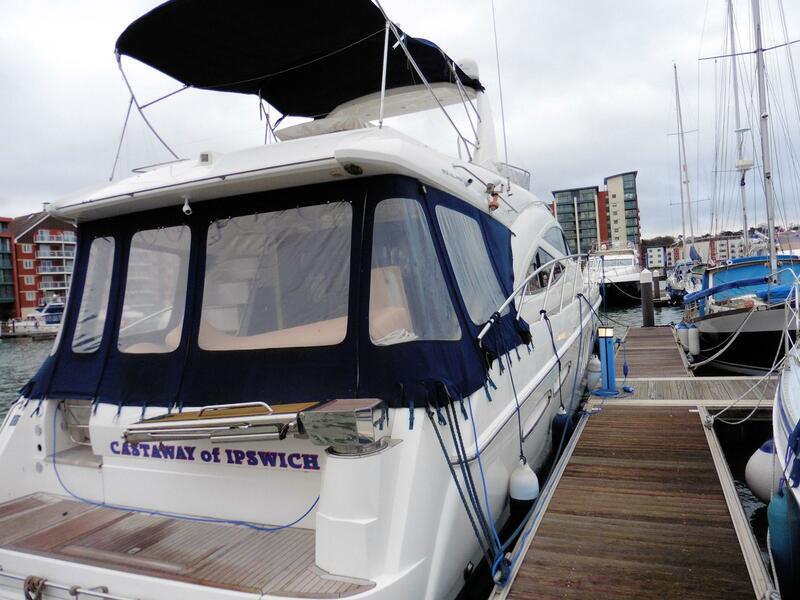 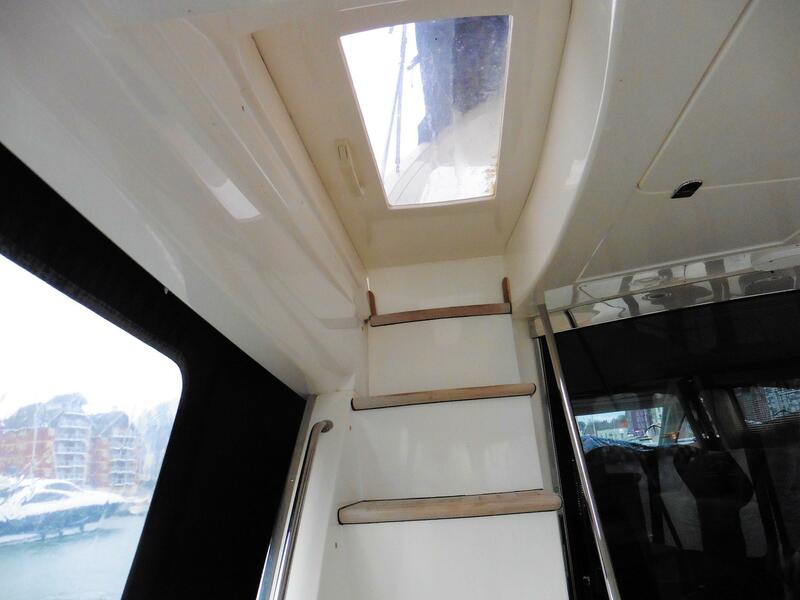 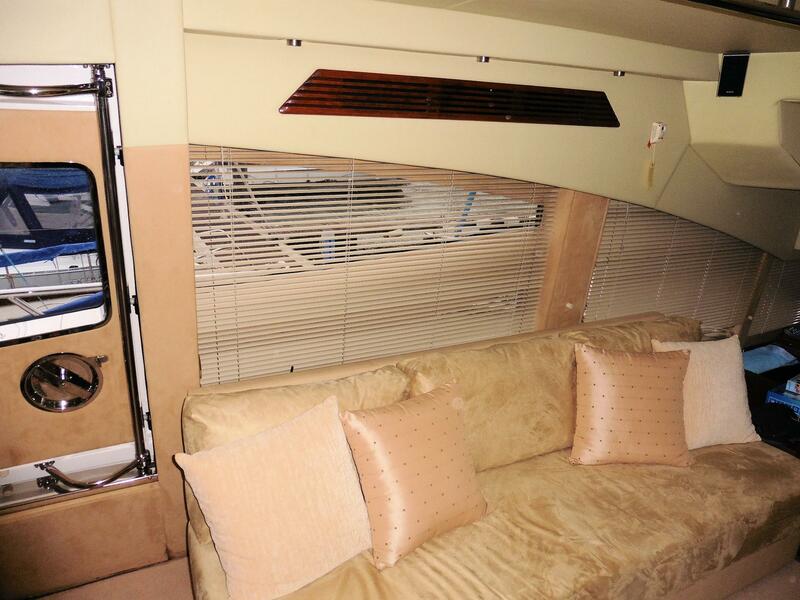 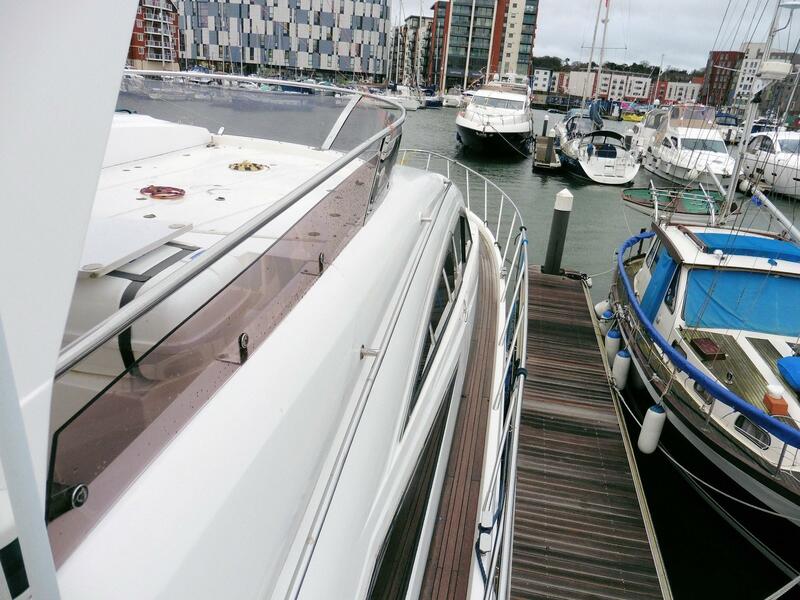 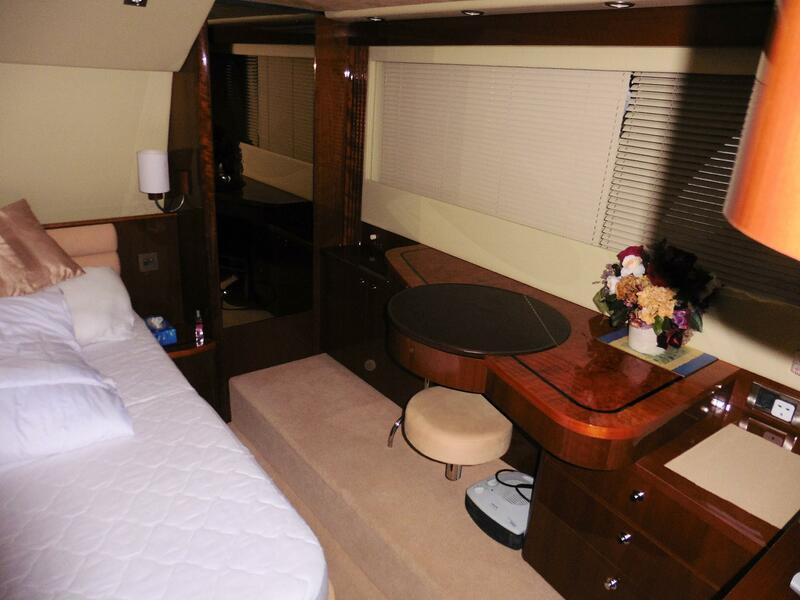 Situated midships this is a full owners suite giving VIP Luxury. 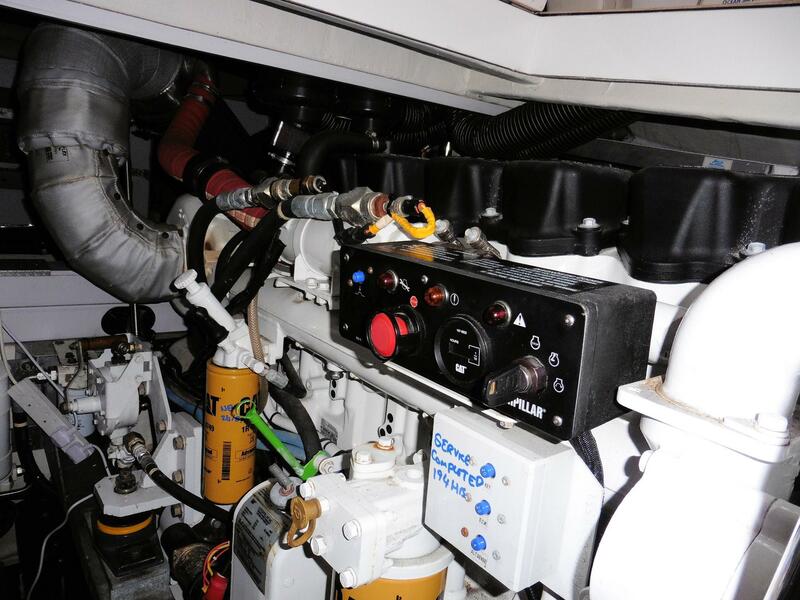 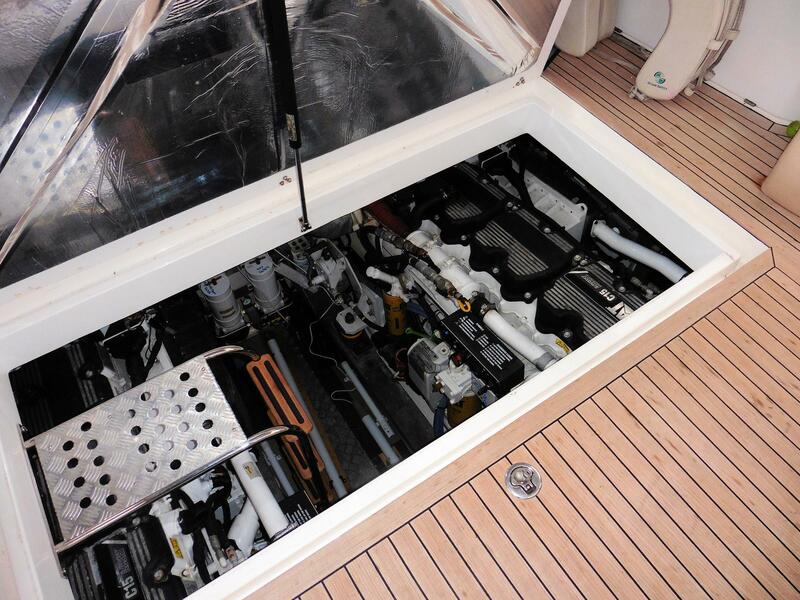 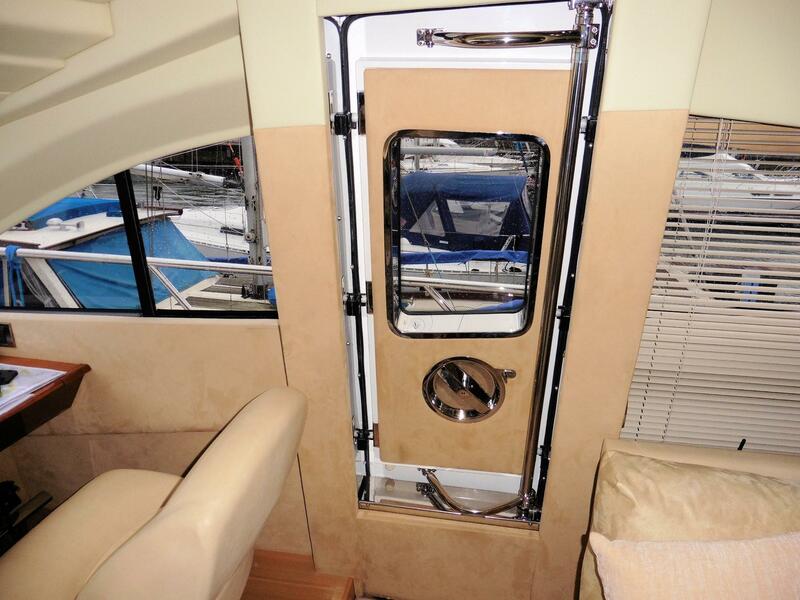 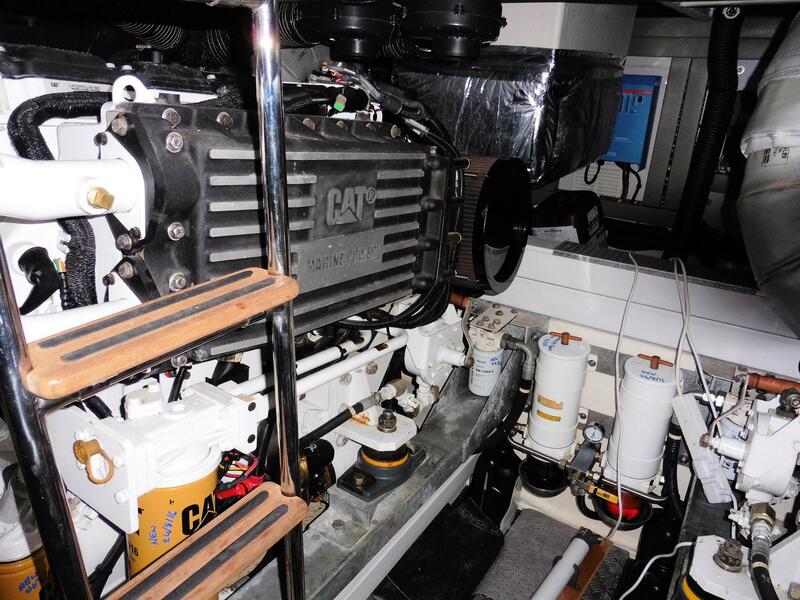 Auto/manual fire extinguisher system in the engine room that can be operated from both helm positions if required.